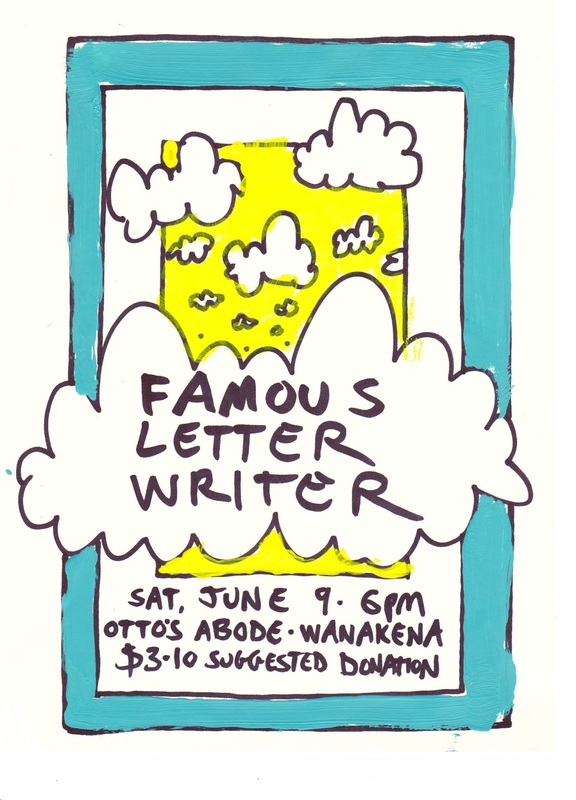 Plattsburgh NY's indie-rock popsters FAMOUS LETTER WRITER perform LIVE at Otto's Abode Saturday, June 9th - show starts at 6pm. If you are able, we kindly ask for a $3-10 donation at the door. No one will be turned away for lack of funds. Come early, stay late.